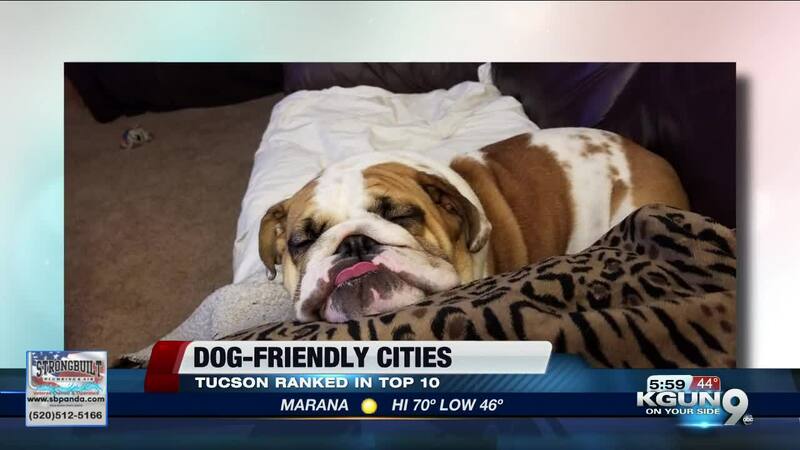 TUCSON, Ariz. -- Here's some good news for dog owners, Tucson is ranked in the top 10 cities in North America for being dog-friendly. According to Technobark , over 300 cities were graded on critera and Tucson ranked 10th in the new study. Technobark looked at how many dog parks, active veterinary services, dog-friendly activities and dog-friendly restaurants were in each city. It also looked at the general climate to draw conclusions. In the study , Technobark says Tucson has some of the best dog parks in North America with open spaces and variety to choose from. "Agua Caliente Hill and Sweetwater Preserve Trailhead are great trails for me and my dogs while the Agua Caliente and the McDonald Off-leash Park are great dog parks to visit," said Mark Braeden, who authored the report. There were 10 other cities listed as honorable mentions. Sedona, Arizona was ranked 20th for its pet-friendly trails and dog-friendly parks.